Activate your inner wisdom! 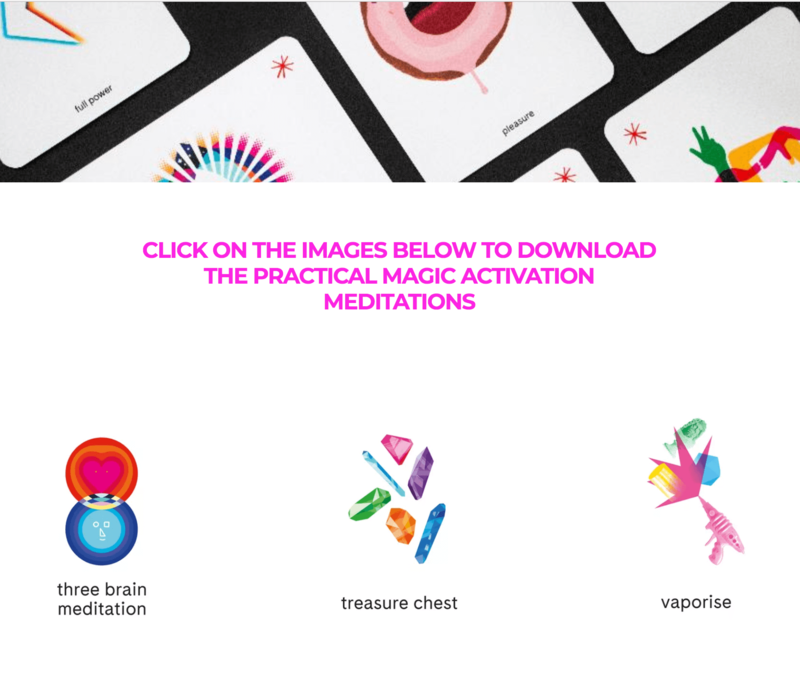 Find calm, spark creativity, get empowered and re-energise your life. 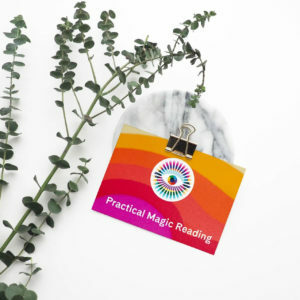 The Practical Magic Activation Deck busts procrastination, creates new strategies and helps you become your own life coach all with a little rock n’ roll vibe. This deck of 56 vibrantly illustrated cards comes with a guide book full of exercises, visualisations, meditation downloads, videos and playlists. Pull a card, and follow the guided exercises to activate your next step. Supplied by Practical Magic Living. 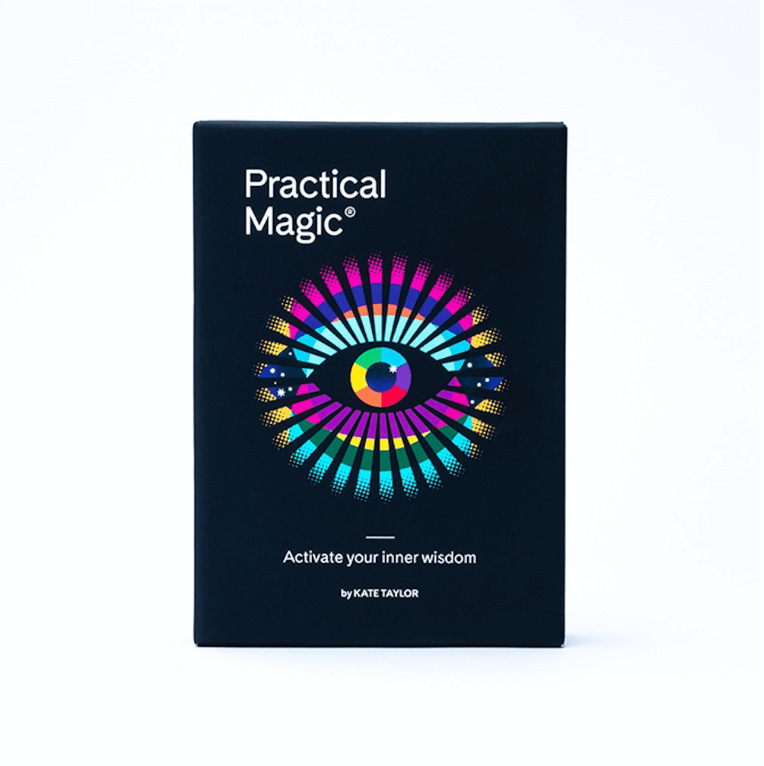 Your own personal life coach in a box! 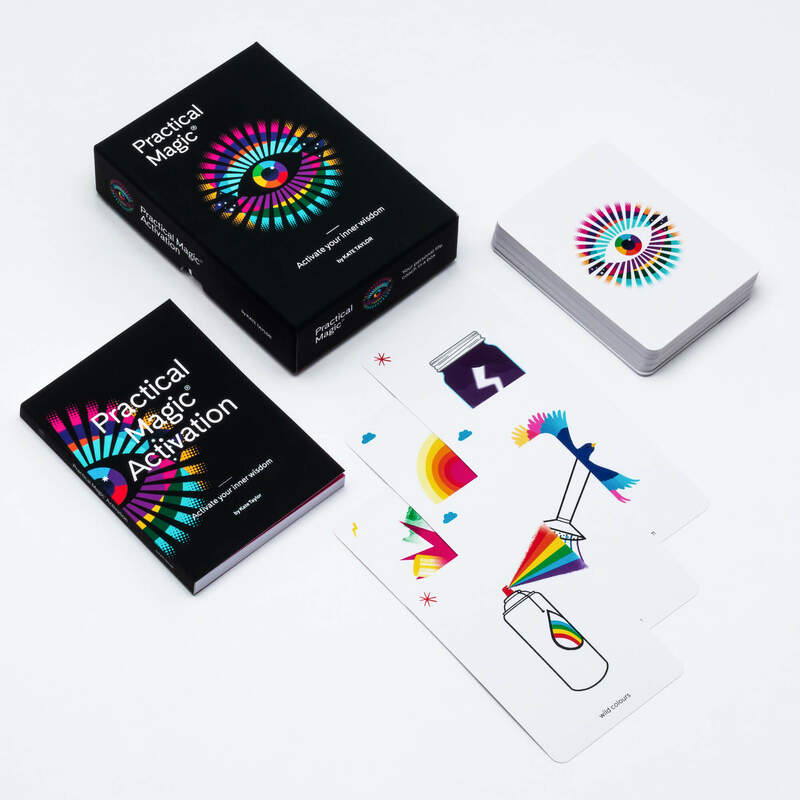 The Practical Magic Activation Deck exists to help you live a calmer, more creative life, empowered and full of vibrant vitality. It’s an invitation to step out of the grey, and into full and wild technicolour shine. 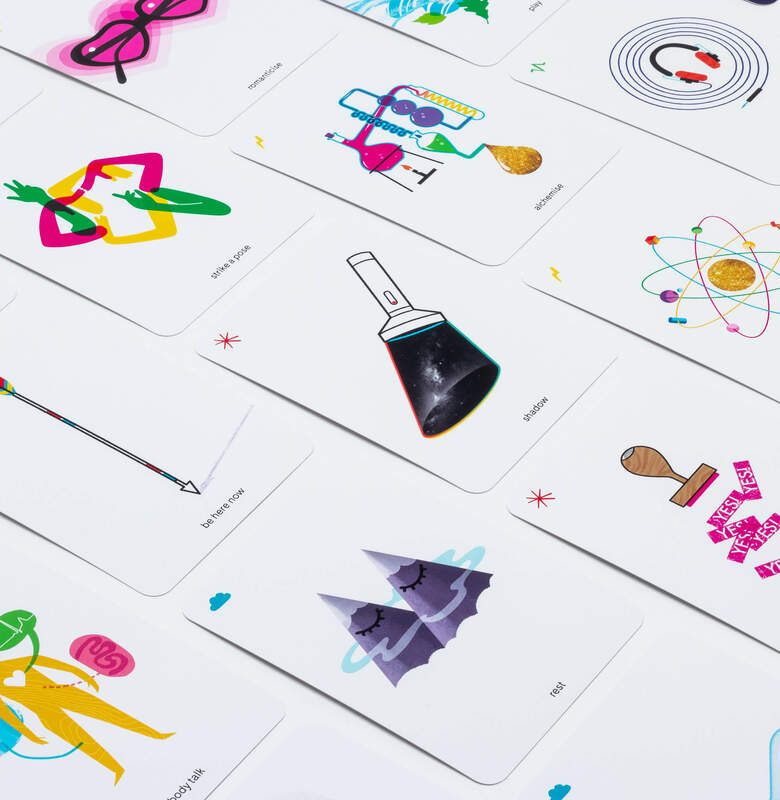 These cards exist to activate your truth and connect you to your own presence. 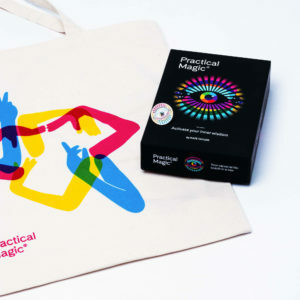 Magic – practically delivered. Practical Magic is powered by four pillars of self-care: Calm, Create, Empower and Vitality. 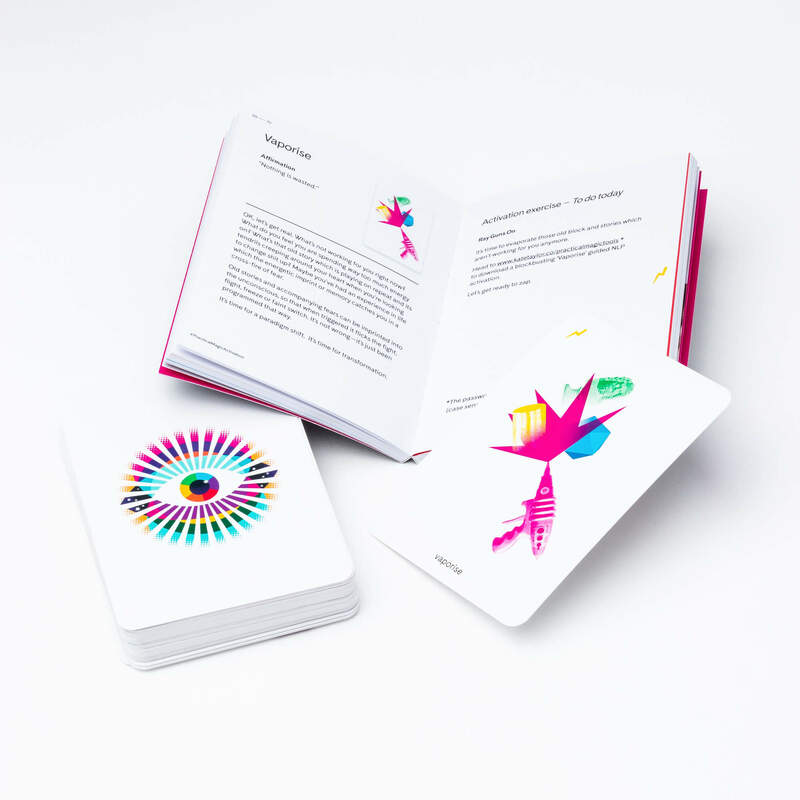 The cards and activation exercises help you to get unstuck and back to the heart of who you are; connected to your fullest self. Rigid lid and base style box – a great way to store your cards and book. Practical Magic Living is created by Kate Taylor, a creativity and empowerment coach, Master neuro-linguistic programming (NLP) practitioner and clinical hypnotherapist, Qoya teacher, writer, and speaker on a mission to help us live an embodied life, full of creative expression. She believes passionately in the ability we all have to access our inner wisdom for empowered positive change. 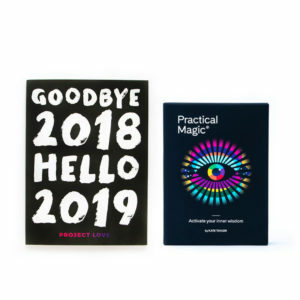 Practical Magic is Kate’s take on her blended melting pot of tools, and her approach in bringing spark, magic, and a bit of rock n’ roll colour to her client’s lives through practical and pragmatic activation. Sent with love and magic by domestic shipping via Hermes. UK shipping at £3.50. Please contact us at [email protected] within 14 days of order for any cancellation and returns queries.